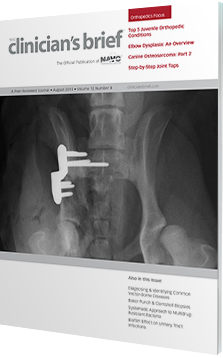 Explore various treatment options for canine osteosarcoma, and follow a step-by-step guide to arthrocentesis. 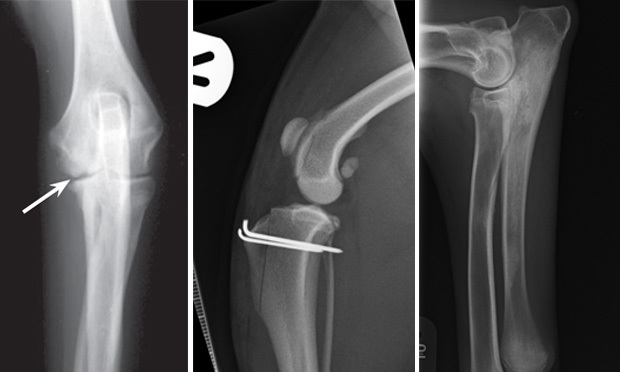 Plus, an expert names 5 common orthopedic conditions in young patients. 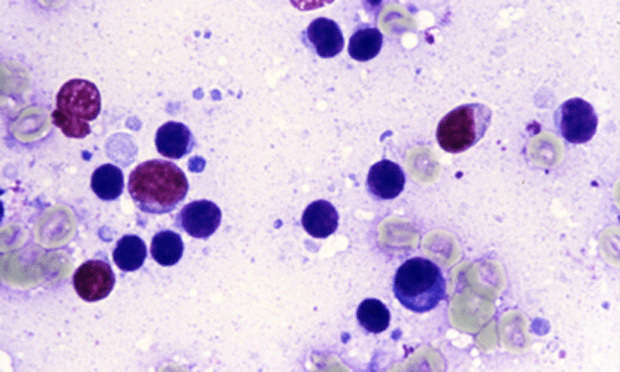 This self-quiz reviews 7 blood parasites and their presentations in small animal patients. 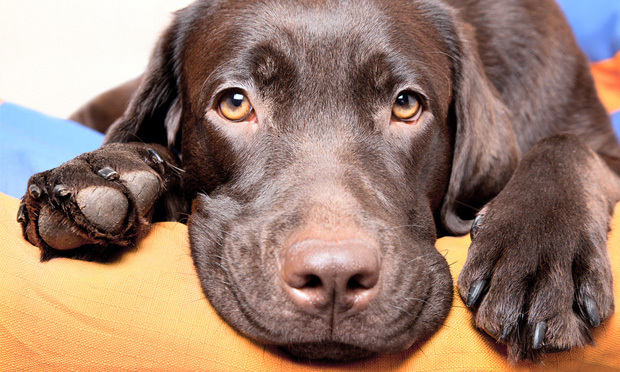 A 10-year-old, spayed Labrador retriever mix presents for vomiting of 5 days’ duration, accompanied by occasional bouts of diarrhea and a decreased appetite. 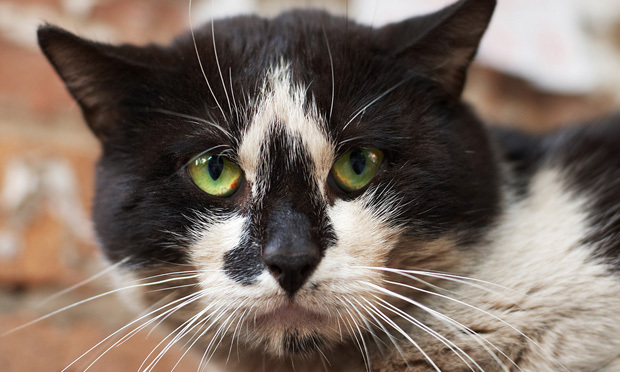 The number of native birds, mammals, and other vertebrates killed by outdoor cats in the U.S. each year is staggering, and enough reason for cat owners to keep their pets inside. 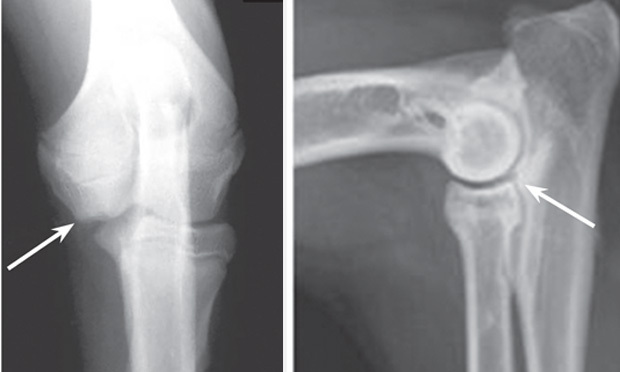 Diagnostic techniques for the various conditions collectively referred to as elbow dysplasia are common, but surgical treatment differs among them. 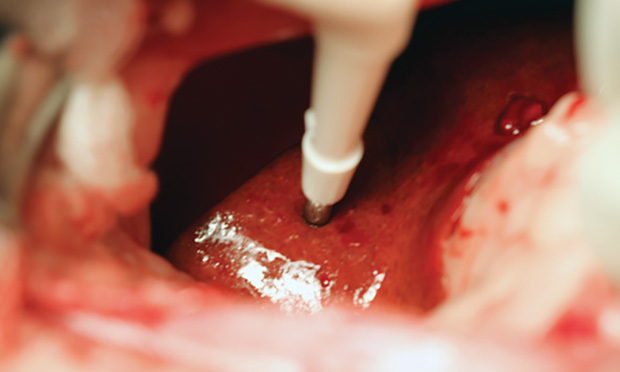 This step-by-step guide describes how to obtain a liver biopsy sample by Baker punch and clamshell technique via laparoscopy. 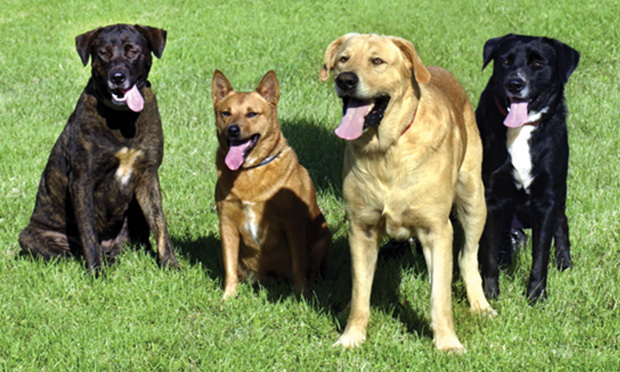 Vector-borne diseases continue to emerge in companion animals throughout the world. Which are most prevalent? While treatable, orthopedic diseases affecting juvenile patients’ joints are especially important because of the likely development of secondary osteoarthritis later in life. 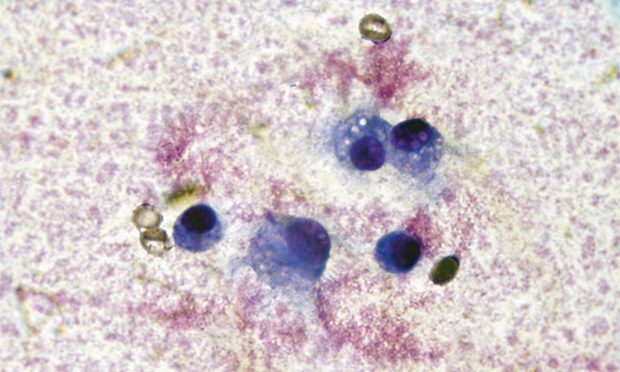 Detecting joint effusion and obtaining samples and cytologic findings for analysis are covered in this step-by-step guide to a simple, inexpensive technique. 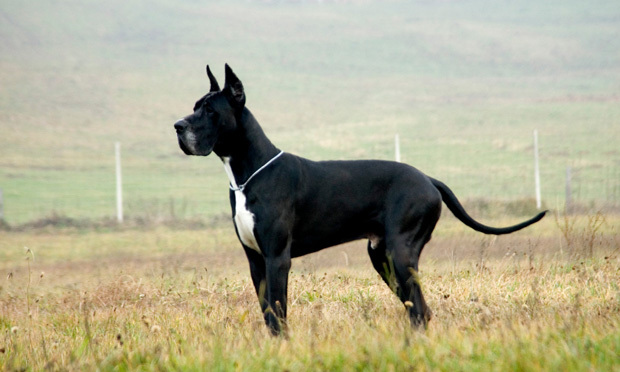 Treatment options for osteosarcoma described include surgical (eg, amputation, limb salvage) medical (eg, palliative, curative), stereotactic radiotherapy, and alternative medical therapy. 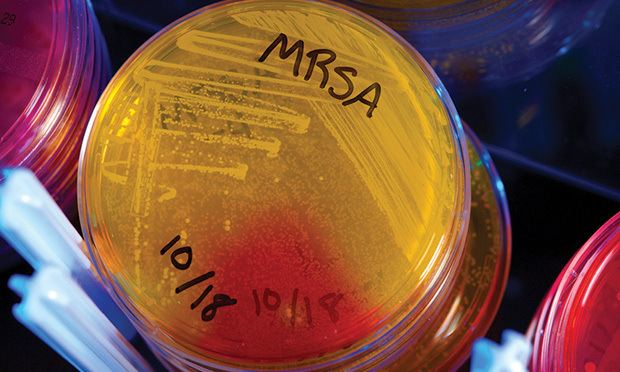 In addition to treatment options for multidrug-resistant infection, this review offers protective measures for other patients, staff, and clients, as well as protocols for reducing infection risk. Biofilms may play a substantial role in infections, especially those that are recurrent or difficult to treat. 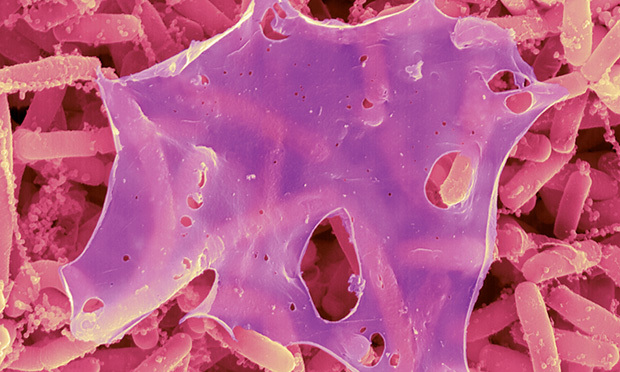 What are biofilms, and how do they affect the urinary tract? The owner of a 10-year-old collie hit by a car declined surgical treatment. 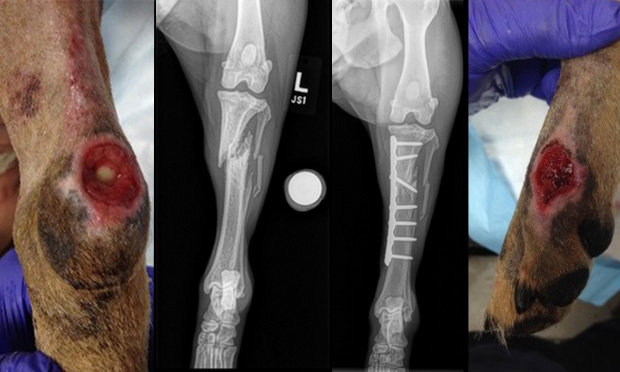 After not following up with the clinic and performing splint changes at home, the collie's condition deteriorated. 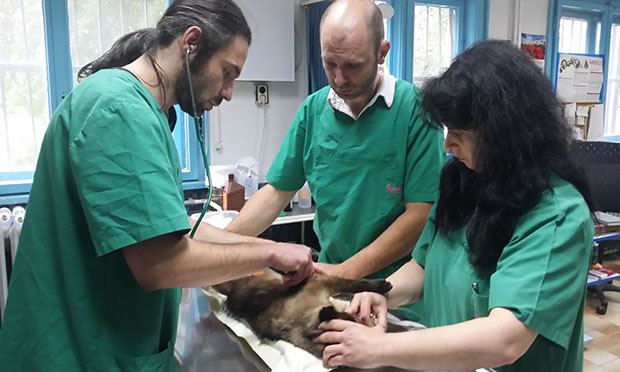 In this installment of Practice Profile, Boyko A. Georgiev, DVM, PhD, describes his practice Viva Vet in Sofia, Bulgaria. Probiotics for Immune System Health? IP Chemotherapy Administration for Cats?